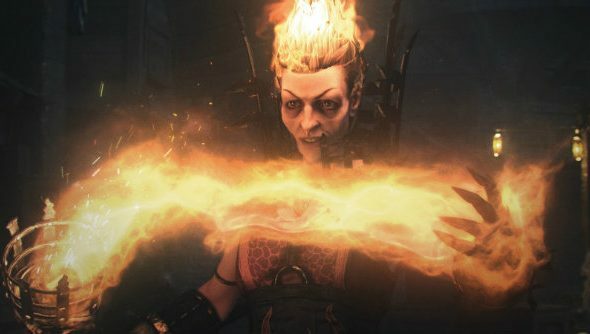 We’ve already had a swarm of trailers about the various characters you’ll be able to play as in your fight against overgrown rats in Warhammer: End Times Vermintide, but this cinematic launch trailer is all about showing off some flashy effects and a dollop of lore. It’s also pretty damn cool. Did you watch the video about the development ofWarhammer: End Times Vermintide? A Left 4 Dead-style co-op experience, Vermintide takes place in and around Ubersreik, a city overrun by a race of giant rat-men who represent an apocalyptic scourge bent on wiping out mankind. Best call in the exterminators: You. Playing as of one of five heroes, you’ll mix different playstyles, abilities and gear to assist your friends and compliment each other’s attacks. Mages will blast out spells into enemy groups, archers will loose arrows into rat’s eyes and warriors will skewer the rats on the end of a blade. It looks like it could be good co-op fun. Vermintide will launch on Steam for Windows on October 23 and is now available in pre-order in a Standard and Collector’s edition.